Here’s another new sweepstakes from Amazon! 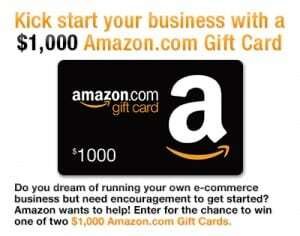 Click here to visit the Amazon site and follow the steps on the right of the page to enter to win 1 of 2 $1,000 Amazon gift cards from straight from Amazon.com You’ll have until 2/25 to enter. Good luck!